In this level we will see jumps and currents. To do this activity the minimum allowed age is 12 and previous experience is required. Our instructors will be with the group all along the route advising, helping and giving instructions useful in the chosen sector. 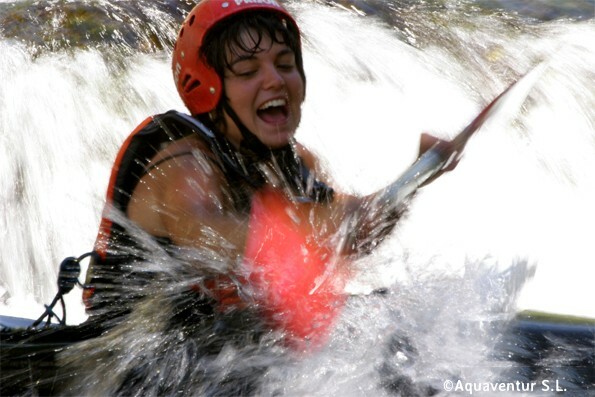 The sectors of Las Gradas, El Puente de San Pedro or El Salto de la Rata will make us live an unforgettable experience in the practice of Whitewater Kayaking. 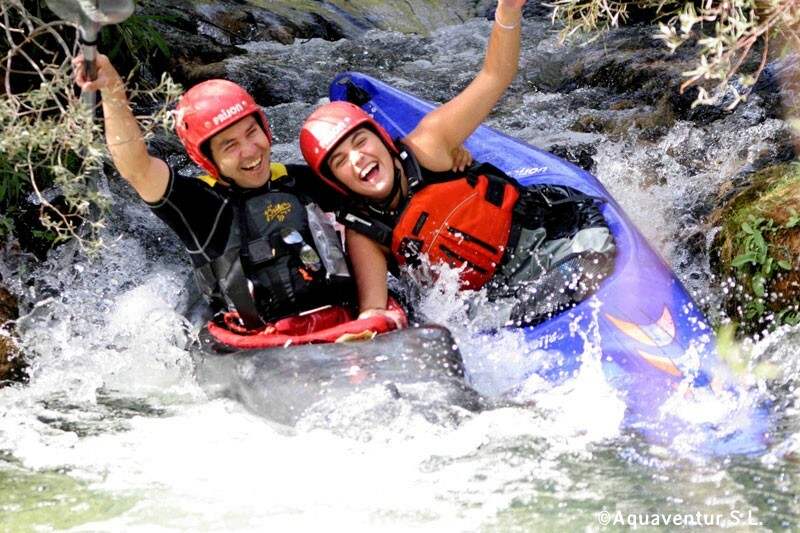 This activity is perfect for people with experience in kayaking that wants to practice this sport with friends, celebrate an amazing stag party and enjoy this refreshing sport.